A 140,000 s.f. shopping center anchored by Safeway and located on the northeast corner of Litchfield and Waddell roads. Businesses include: Safeway, O’Reilly Auto Parts, McDonald’s, Taco Bell, Bank of America, Nationwide Vision, Perfect Teeth, Hand & Stone Massage & Facial Care, Edward Jones, Rosati’s Pizza, Great Clips, Westside Mail Center, Chen Wok Chinese Food, Le Nail Works, Surprise Crossing Chiropractic and Sonora Quest Laboraories. Space available for lease: 1,200 sf. Nearly 25,000 s.f. 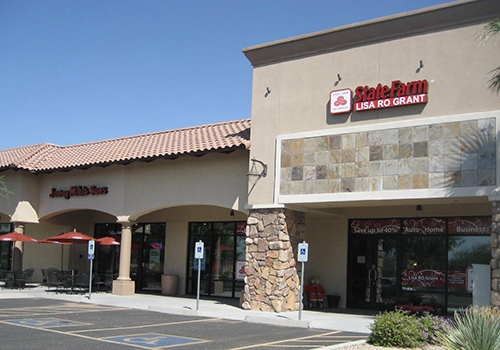 of shops located on the southeast corner of Ray and Val Vista Roads. Businesses include: Water & Ice Discount Superstore, Meridian Cleaners, Gilbert Smiles, Cornerstone Animal Hospital, N Control Driving School, Edward Jones, Cosmoprof, Urban Hair Design, Idol Nails and XJ’s Casa Reynoso. Space is available for lease between 1,230 – 2,984 sf. A 9,200 s.f. multi-tenant retail shop building located on Bell Road west of Litchfield Road. State Farm Insurance, Jersey Mike’s Subs, Saigon Kitchen and Chill’d. A planned 140,000 s.f. 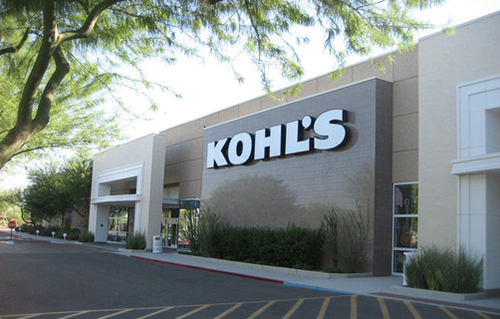 shopping center anchored by Kohl’s and located on the southeast corner of Cactus & Reems roads. Businesses include: Kohl’s, Wendy’s and Chase Bank. Shops at Marana, a 10,000 s.f. 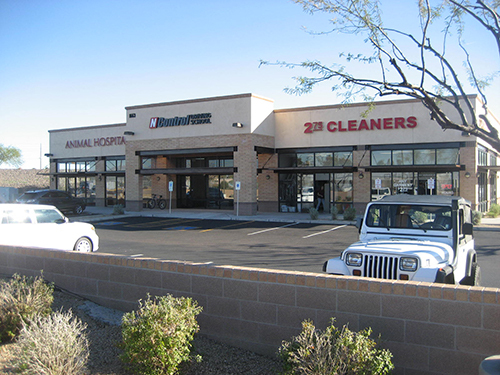 multi-tenant retail shop building adjacent to an existing Safeway located at the intersection of Twin Peaks and Silverbell roads, in Marana, AZ, was developed in partnership with Cal Hahn Development Company. McKellips Marketplace, a 140,000 s.f. Safeway anchored shopping center on the southeast corner of Power and McKellips roads in Mesa, AZ, was developed in partnership with W.M. Grace Companies. Peoria Marketplace, a 100,000 s.f. Safeway anchored shopping center on the southeast corner of 107th Avenue and Olive Road in Peoria, AZ, was developed in partnership with W.M. Grace Companies. Thunderbird Landing, a retail subdivision on the southwest corner of 75th Avenue and Thunderbird Road in Peoria, AZ, was completed in partnership with Cal Hahn Development Company.